CADC Studio News – Eat, Sleep, Breathe…Dance! MASTER DANCE OF OHIO FOR OHIO DANCE MASTERS! HUDSON WON THE TITLE WITH HIS HIP HOP SOLO – BARBERSHOP MACDADDY AND ALSO WON THE INTERVIEW AWARD. HE WILL COMPETE FOR THE TITLE MASTER DANCE OF AMERICA IN ATLANTA THIS SUMMER. WE ARE STILL REGISTERING NEW STUDENTS- GIVE US A CALL TODAY! WE CAN’T WAIT TO SHARE OUR LOVE AND KNOWLEDGE OF DANCE! My daughter started dancing at Candy Apples at 3 years old. We didn’t know anything about CADC or know anyone who danced there; we simply chose it because it was close to home & the class schedule worked for our excited little ballerina. We had no idea at the time what a great decision it would be or where it would lead our daughter. Nine years later, that little preschooler is now 12 years old, taking nine classes a week and starting her 4th year on the competition team. She has discovered that dance is her passion and what she wants to do for a living. Candy Apples and the amazing teachers she’s had there have ignited that passion and supported it & kept it going with every class, every recital, every competition. They push & encourage her, they have her best interests at heart and we couldn’t ask for a better studio or better teachers for her to spend so many hours with every week. We love that they have known her since she was so small and watching the progress she makes under their guidance from year to year is incredible. We feel so lucky that blindly choosing CADC all those years ago turned out to be one of the best decisions we could have made for her. CONGRATULATIONS TO ALL OF OUR COMPETITION TEAM DANCERS AND TEACHERS ON A TREMENDOUS JOB AT CRU NATIONALS!! WHAT A SEASON WE HAD- AND WE ARE SO PROUD OF YOU! GRANDMOTHER’S LOVE LETTERS- TOP OVERALL JUNIOR SMALL GROUP- BEST TECHNIQUE AWARD FOR 12 AND UNDER- BEST COSTUME AWARD! Our very own- Hannah Bloomquist- Miss CRU National Title Winner!!! CONGRATULATIONS TO THESE DANCERS ON BEING INVITED BY CRU NATIONALS TO JOIN THE PERFORMANCE COMPANIES OF CRU DANCE. AFTER A FULL WEEK INTENSIVE, THEY GOT TO PERFORM AT THE NATIONAL COMPETITION. WE ARE SO PROUD OF THEM! 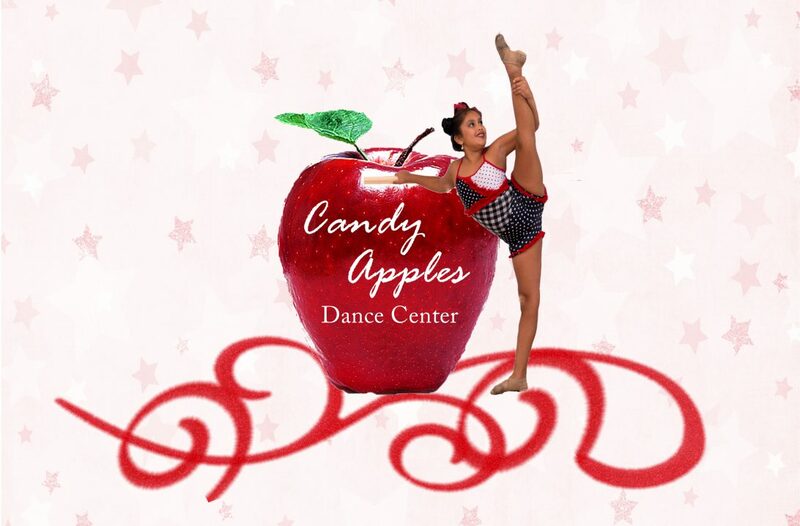 ITS NEVER TOO LATE TO BE A PART OF CADC- COME JOIN CANDY APPLES DANCE CENTER – WHERE SOMETHING FUN IS ALWAYS HAPPENING! We asked our “Dance Mom’s” why they choose CADC year after year, here’s what a few of them had to say! Lori Jones-Stokes 19 years ago we walked into CADC and they met us with open arms and we have been family ever since. All five of my children danced at CADC at one time. My eldest daughter Janae danced, competed and was a demonstrator for 14 years before a knee injury did not permit her to dance any longer. My youngest, Darius, at age 3, was just “taking one class” because he wanted to dance like his older sister. Now he’s 16, still dancing while playing football and basketball and holds many dance titles. I never dreamed of being a dance mom this long, but I have no regrets because at CADC everyone is truly a family. Our children have made forever friendships and the parents have too all while being taught the art of dance in the most amazing way. We support each other even outside of dance. The bond created over the many years at CADC is forever unbreakable. Teresa Fox CADC is an award winning studio with caring and compassionate faculty that encourage students to succeed both on and off the dance floor. They recognize that each student is unique and focus on strengthening their individual talents that when put together collectively create a beautiful mosaic. Jodi Mattocks Hoover We are starting our 6th year at CADC, and Aleigh’s time there under the care and instruction from the faculty has taken her from a tiny dancer to a graceful young lady! She has made wonderful friendships, learned the value of hard work and commitment, and above all, has gained poise and confidence that will serve her well wherever life may take her. I am thankful to know she is in good hands when she walks in that door every day, and so excited to see what the new dance year brings at Candy Apples! *Do not copy any photo. Photos are copy righted images. Follow us on Twitter and Instagram @1CandyApples – Like us on Facebook!